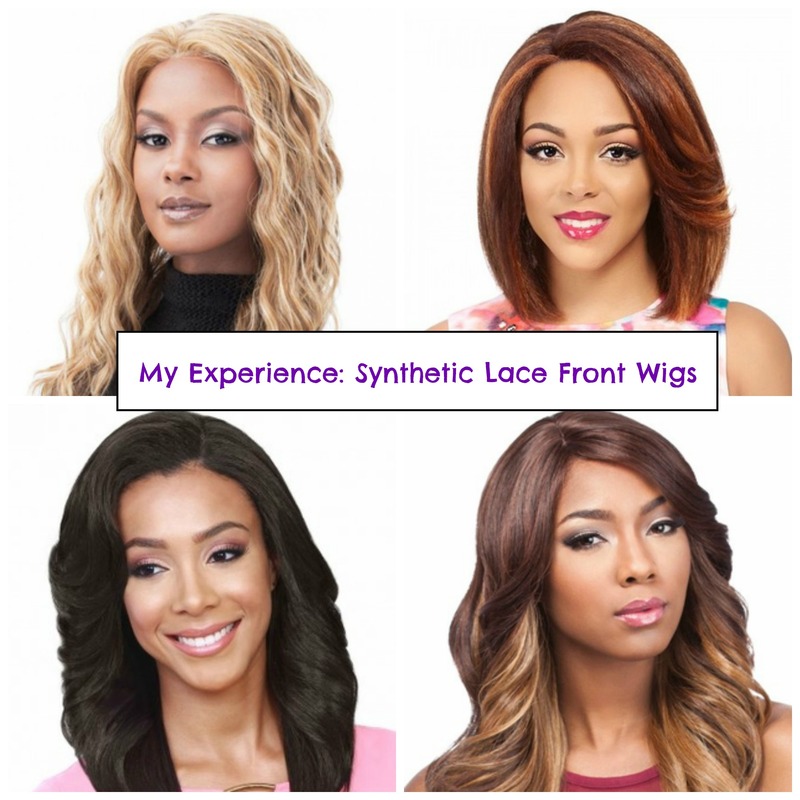 Today I'm talking about my experience with synthetic lace front wigs so far, featuring 4 different wigs I've tried and where I usually purchase them from. 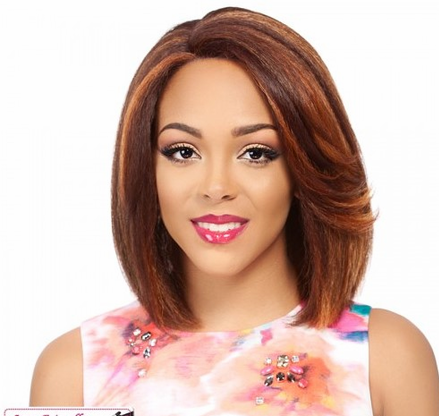 In recent years, synthetic lace wigs have become big in the women of colour hair community. I personally love synthetic lace front wigs. 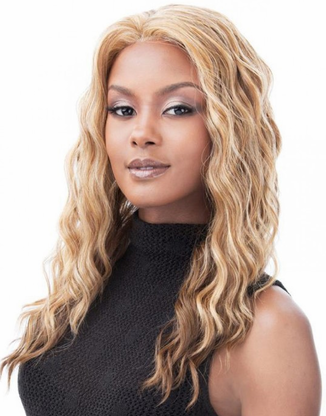 Full lace wigs are a great investment, but synthetic lace front wigs allow you more room to experiment and change it up more frequently because they're cheaper. 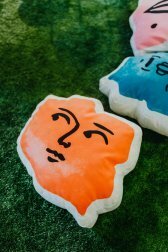 There are so many options to choose from, with a range of styles, colours and colour-combinations. 1. It's a Wig "Fine"
"Fine" was my first ever synthetic lace front wig. You can be quite apprehensive buying your first lace front wig, wondering if it will suit you and fit & sit properly. I was attracted to this wig because of the beautiful curl pattern. I remember thinking how beautiful yet how laid back it looked. 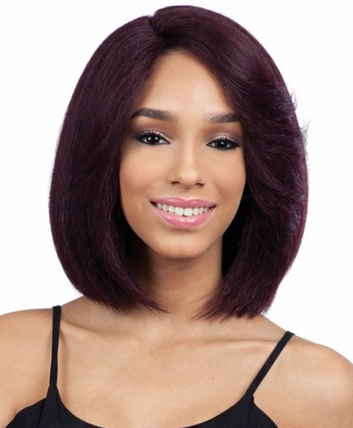 I ordered it from houseofbeautyworld.com which is my favourite place to get synthetic lace wigs. This wig did not disappoint when it arrived! The curls were beautiful, light and perfect. It was great for a first synthetic lace front wig, though compared to the wigs below, there wasn't very much lace on it to work with. 2. It's a Wig "Aku"
I watch a lot of YouTube videos about synthetic lace wigs. 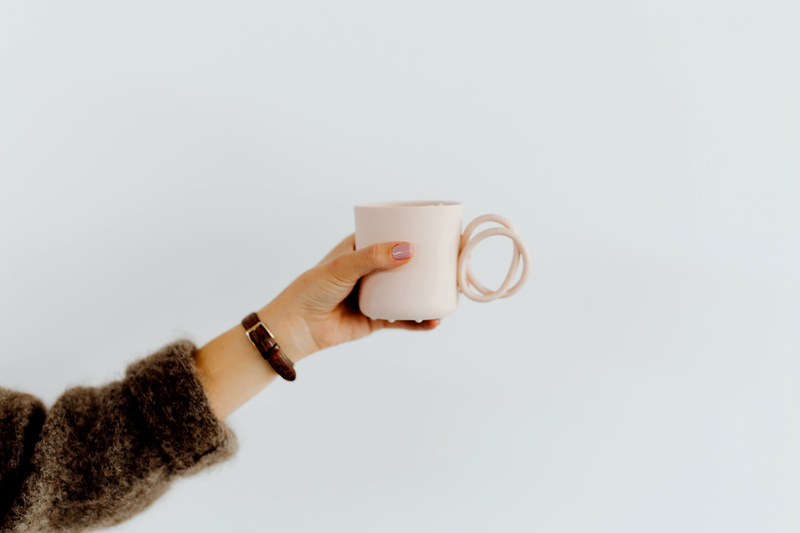 I love knowing my options and discovering different styles. It's also useful for getting an idea of what a wig might look like before committing to the purchase. Of course, certain wigs have been reviewed more than others. The more reviews, the better a preview you get since you are able to see it worn by more people. I was inspired to try this wig by watching TheHeartsandcake90 on YouTube. She wore the colour P4/27/30 and it looked amazing on her. Unfortunately, HouseofBeautyWorld didn't have the wig in this colour so I had to purchase mine from EbonyLine.com. I find that HouseofBeautyWorld has great rates for shipping to Canada, whereas it was pretty expensive with EbonyLine. Anyway, I bit the bullet and ordered from EbonyLine. At least it came quickly. The colours were amazing, however if I was to wear it again, I would darken the roots more to make it look more natural. You can watch my review of this wig and my other wig reviews on my channel. Neptune was my third synthetic lace wig. I went back to black, and this time wavy. I think that out of all the stock card pictures for all the synthetic wigs I've seen, Neptune is my favourite. 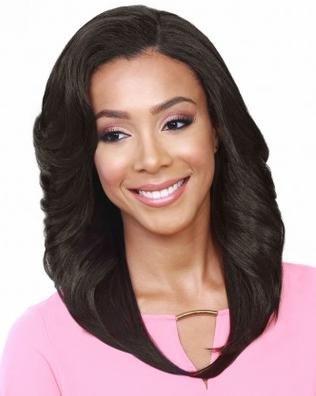 I was attracted to this wig because of the long, black, elegant waves on the stock picture. The waves turned out to be quite pretty, but in retrospect they were a bit awkwardly "stiff" compared to the wig that I'll talk about next. Overall I wasn't such a huge fan of this wig because it also tangled quite easily. I loved Inna. Inna was everything I wanted in Neptune: Long, black, wavy but lightweight and easy to manage. You'll also notice that Inna is almost $20 cheaper than Neptune. The waves on Inna are absolutely stunning. Inna is quite long too - definitely longer than Neptune - about 20-22 inches I'd say. The wig looks much better in real life than on the stock picture. I'd describe it as gorgeous, "movie-star" kind of hair. I got the colour 1B and it was perfect, it blended very well with my natural hair. Here's the order of my favourite to least favourite wig: Inna, Fine, Aku, Neptune. In terms of price, cheapest to most expensive wig was: Aku, Inna, Fine, Neptune. I'm planning to get this wig in a Colour 1, which will be new since I normally get my dark synthetic lace fronts in a 1B. It will be cool to go darker with a 1 (Jet Black) as supposed to the usual 1B (Off-Black)! Short wigs are also exciting because they are simple to manage - they don't tangle and they're easier to comb/brush through. Thanks for reading my experience with synthetic lace front wigs so far! 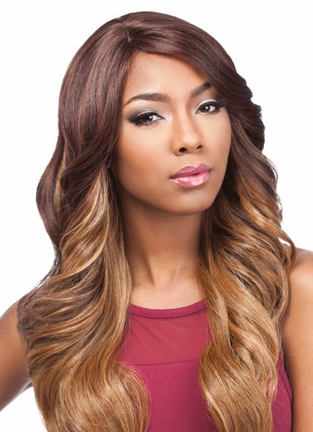 Have you worn a synthetic lace wig before, and if so, any of the ones above?